A damper is a person or thing that damps or depresses. In mechanical engineering, it’s a movable plate for regulating the draft in a stove or furnace and, in vehicles, it’s a shock absorber. Keyboard instruments also have dampers to deaden the vibration of the strings and horn or brass instruments have dampers to mute the sound. We were supposed to be celebrating my new job this weekend, but Tom got sick, which was a bit of a damper. Linda always closes the damper on the stove before going to bed at night. The mechanic fitted the car with new dampers. You use the dampers by pressing this pedal. The tuba player bought a new damper for her instrument. 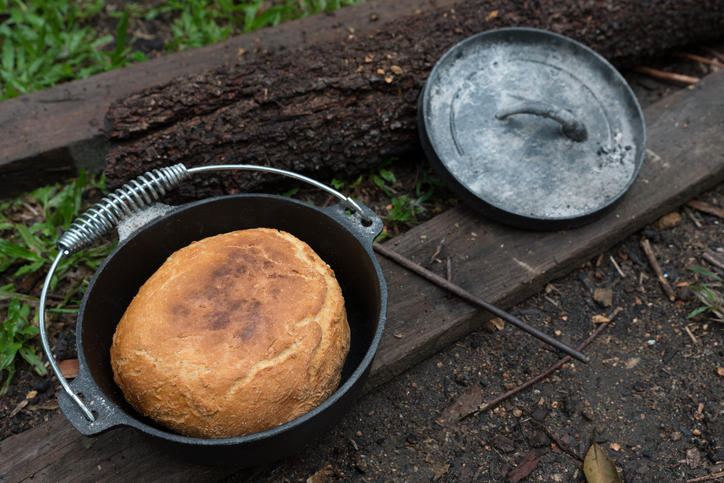 In Australian English, a damper is also an unleavened bread that was traditionally baked in the ashes of a campfire. You can see how to make one by clicking here. Damper, as a noun meaning a thing that dampens or depresses something, dates back to the late 18th century. It comes from the verb damp (to suffocate), which appeared in the late 14th century, and came from the noun damp. Damp, which dates back to the early 14th century, originally meant ‘noxious vapor’ (the meaning ‘moisture or humidity’ is from the 18th century), and probably came into English from the Middle Low German damp (it may have been in English earlier, but there is no record of it). It can be traced back to the Proto-Germanic dampaz, and is related to the Old High German damph and the German Dampf (vapor), as well as the Old Norse dampi (dust). Damper was originally used specifically in the sense of musical instruments, and separately as the part regulating the draft above the stove (both these uses date back to around the same time). The meaning expanded to include anything that lowered vibrations, and then figuratively to anything that depressed any effect at all, by the early 19th century.